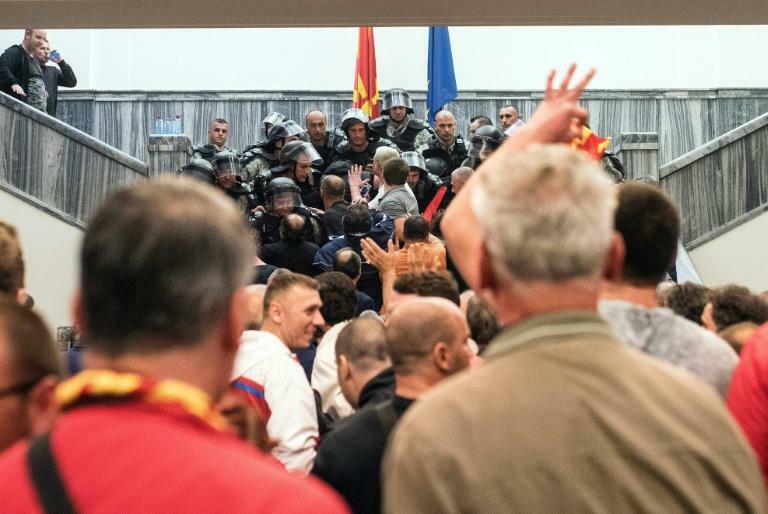 A Macedonian court on Wednesday launched a trial of 33 men, including five opposition MPs and a former interior minister, accused of involvement in a violent attack on parliament last year. Scores were injured in the bloody rioting that erupted on April 27, 2017 after around 100 nationalist demonstrators, including masked men, stormed into the Skopje assembly to protest the vote for a new parliamentary speaker. 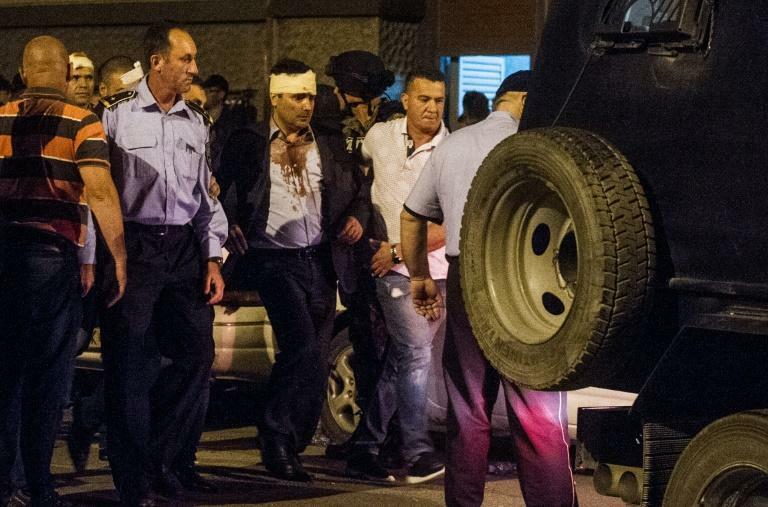 Several lawmakers were beaten in the melee, including Social Democrats leader Zoran Zaev, who has since become prime minister. Most of the accused have been charged with "terrorist endangerment of the constitutional order and security", while two were indicted for complicity in the crime. The defendants include five MPs from the conservative VMRP-DPMNE party, as well as former interior minister and police chief Mitko Cavkov, among other government and security officials. If found guilty, they could be sentenced to up to 25 years in prison. "The attack of the parliament on 27th of April wasn't a spontaneous attack of emotions, but an planned attack by the accused," state prosecutor Vilma Ruskovska said on the trial's opening day. She also alleged that one of the defendants had been assigned to assassinate Zaev. The attack on the parliament, which was strongly condemned by the international community, notably the European Union, followed a long-running political crisis in the Balkan country. It came after months of protests by nationalists opposed to a coalition deal between Zaev's Social Democrats and minority ethnic Albanian parties, which they alleged was a threat to national unity.